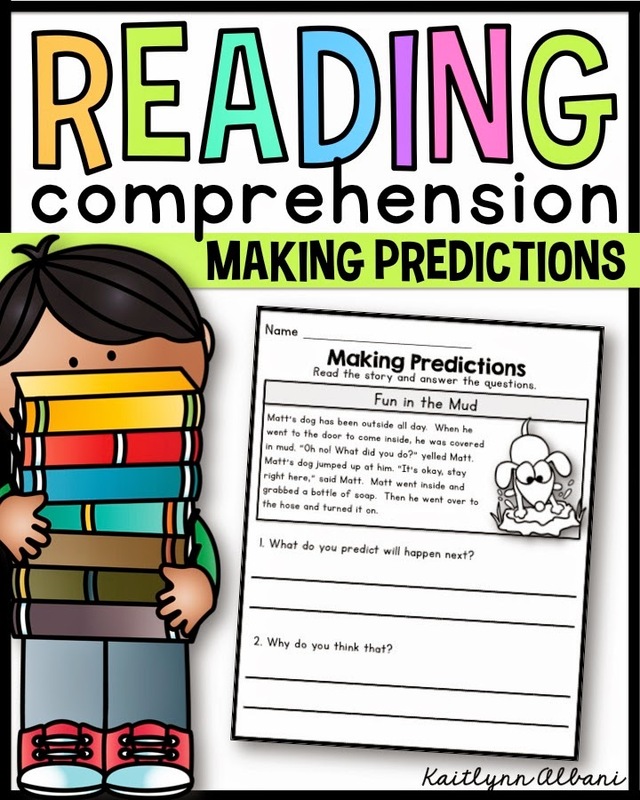 Making predictions while reading is an important skill for comprehending text. 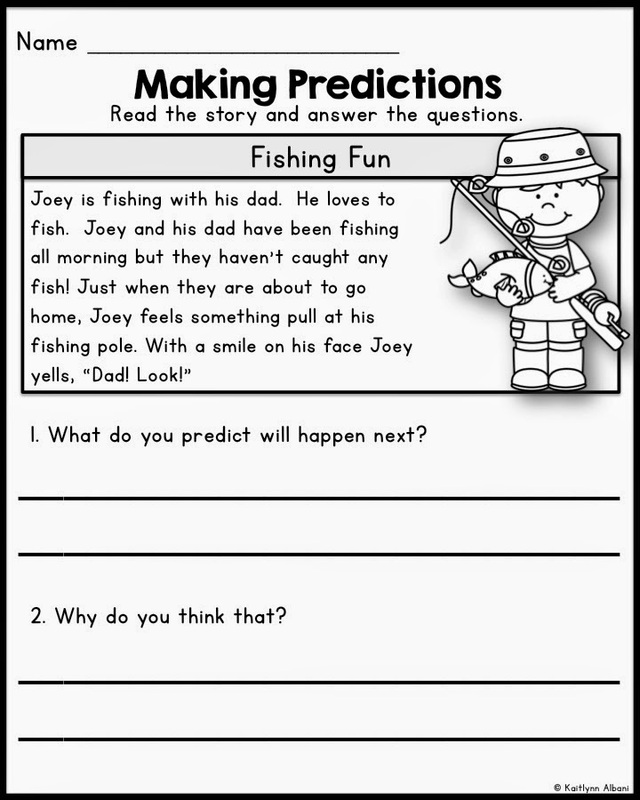 Use this packet to practice making predictions and inferences with your students. Each page includes a short passage intended to focus on predicting "what will happen next" or "where will they go next." There are two questions on each sheet. The first question will vary to match the passage and the second question is constant: "Why do you think that?" There is also a picture to match each passage. There are 23 passages in all!